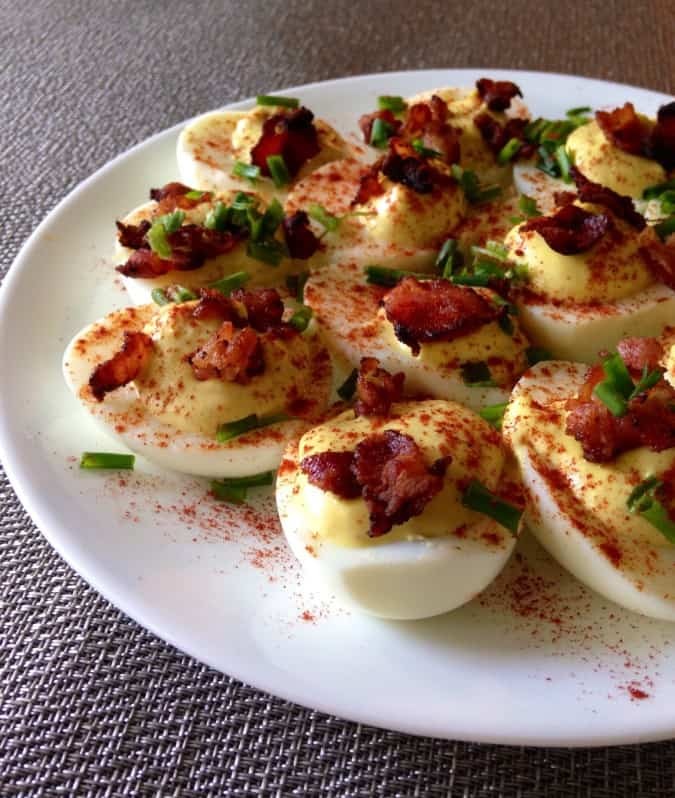 Deviled eggs were the first thing I ever “cooked” in my life, independently at least, when I was about 10 years old. I remember having them at a barbeque and then asking my mom how to make them. 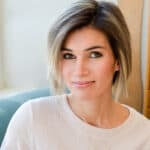 She gave me the gist – basic ingredients -and I gave it a whirl. 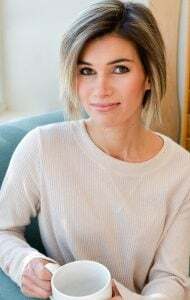 *Side note – the first thing I ever actually cooked on the stove was bacon, and between those two first attempts it’s pretty clear that the Paleo Gods had found me at that young age and captured my soul, or something. Either that or I’ve just always had a palate that appreciates savory goodies. 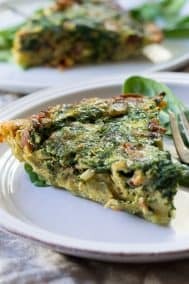 The latter might explain my undying love for spinach pie, aka #theonethatgotaway #notpaleo. Right, because when I was 10 I had 3 kids, a house, a cat, and a blog to take care of plus the responsibility of packing 4 people (minus Adam) for a week long trip. What I’m trying to say, is that my 10 year old self apparently had a lot more time to kill (ya think?! ), and though deviled eggs are not difficult, there are quite a bit of steps involved that I should have accounted for before “scheduling” myself to make them during this crazy week. 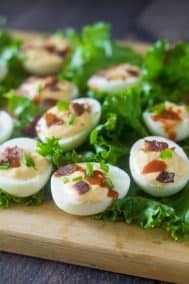 A paleo and low FODMAP version of deviled eggs, made with homemade mayonnaise, and topped with crispy bacon and fresh chives. Peel your hard boiled eggs and cut each one in half lengthwise. Carefully remove the yolks and put them in a medium bowl. Set the egg white halves aside for the meantime. Cook the bacon over med-hi heat in a heavy skillet until crisp, then drain, crumble, and set aside. 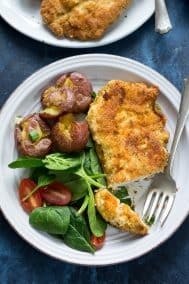 Mash the hard boiled egg yolks with a fork, then add the mayo, mustard, and salt and mix very well, until you have a thick, creamy filling for the whites. 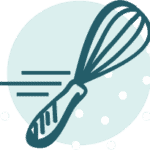 Alternatively, you could beat with a hand mixer to get a smooth consistency. Carefully spoon the yolk mixture into the egg white halves, about 1-2 tbsp per half or enough to overfill a little. Sprinkle the smoked paprika over all the eggs, then top with the crumbled bacon and chives or scallions. 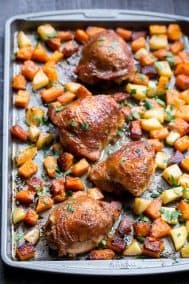 Serve right away, or cover tightly with plastic wrap and store in the fridge until serving. And now I’m off! To Seattle that is, today, and I won’t be back until next Saturday. It will be seriously strange to be away from my computer, my house, routine, and blog world, but I have a feeling it will be a welcomed break in routine. I’m really excited to have three awesome guest bloggers next week – Gretchen, Jamie, and Susie to fill in for me. I’ve felt so inspired reading each of their posts and I know you guys will too, so look forward to that! 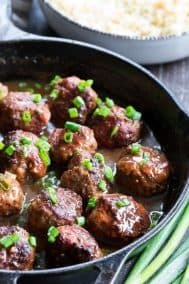 What was the first food/meal/recipe you made by yourself as a kid? Do you ever underestimate the time it takes to do “simple” tasks or make “simple” meals when you’re busy? I hope you have the best trip! I think the break will be awesome for you and can’t wait to hear about it when you get back. And then we need to make our barre/spin plans for July! 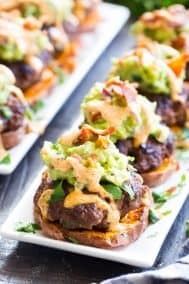 These look fab! 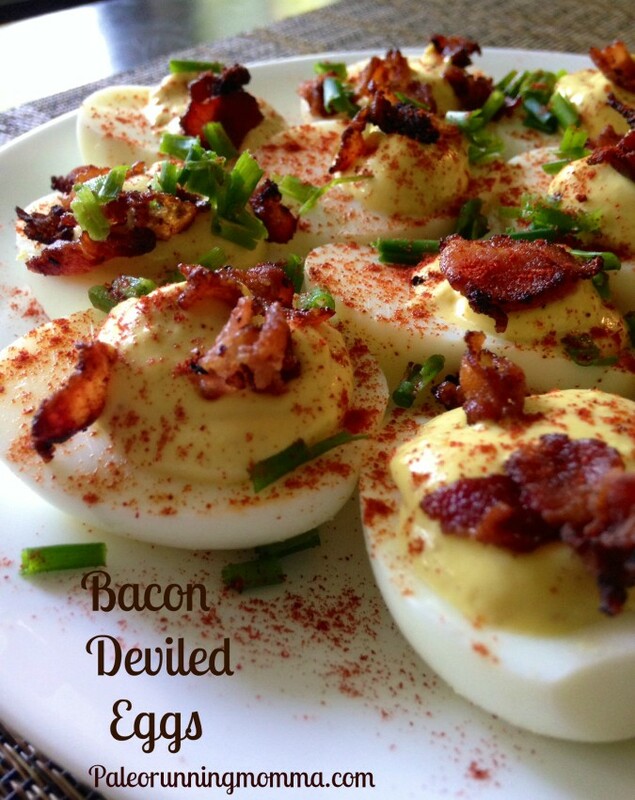 We don’t have deviled eggs over here in the UK, who knows why, they are the perfect party snack! Haha I do that too. Underestimate my recipe time. Have fun in Seattle and hope you get a much needed break! Have an amazing time in Seattle! Thank you again for letting me guest for you 😀 I’m (obviously) not paleo, but I think we shall suffice. 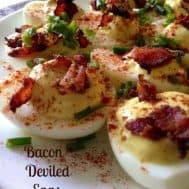 I am from GA, and I don’t think I’ve ever made deviled eggs. But I will tell you–there is rarely a potluck that doesn’t include them! Have so much fun in Seattle! 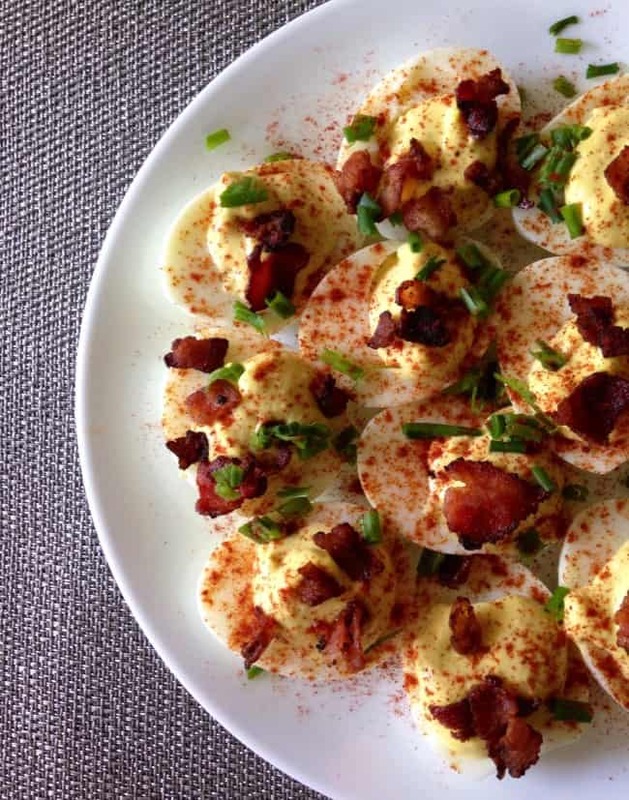 You deserve a week of rest : ) I’m a big fan of avocado deviled eggs! Add crushed red pepper to the top = perfection! My weekend plans contain relaxing and hopefully the beach if the weather is nice! Pancakes! I had a Super Hero themed cookbook and that was one of my first that I remember. I had a slight obsession with Wonder Woman. 🙂 Safe travels! Pancakes are a good one for kids! I probably should have practiced then because I’m not great with them now 🙂 Thank you! my hubby is coming home tonight, he’s been gone all week. we have plans all weekend little does he know, LOL. happy friday friend! Pancakes seem like a popular first attempt at cooking, maybe my kids can teach me how to properly flip them one day, not my best skill 🙂 Have a great weekend sounds like fun!! That’s pretty badass that this was the first thing you made! Lol I guess I was always a go big or go home type 😉 I also just really loved deviled eggs and they seemed simple enough! Hope you have a great weekend and Dad’s day!! Bacon really just adds good flavor to almost anything 🙂 Thank you! I have to make these for Vegas. Deviled eggs are among her favorite foods… I think second only to fried chicken. That’s funny! What a helpful kid you were 🙂 Have a great weekend! 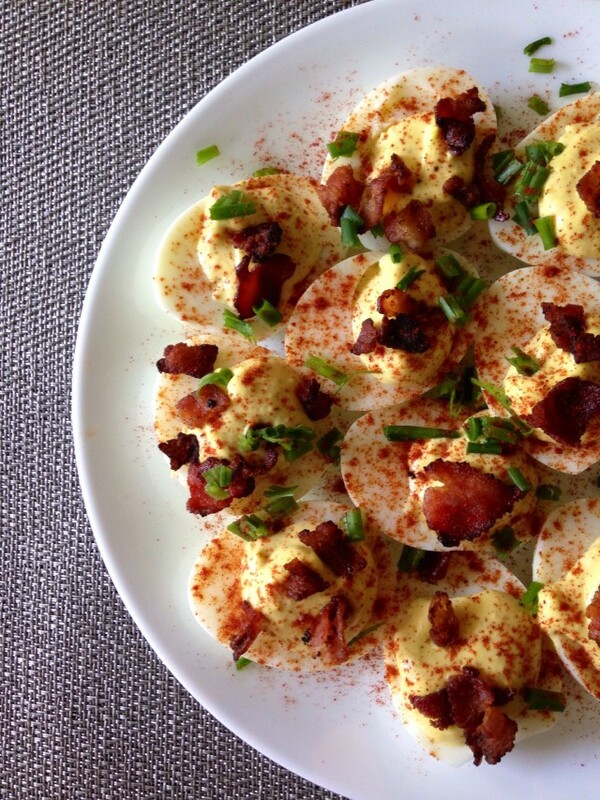 I looooove deviled eggs, but for some reason I have never attempted to make them. I guess I just wait until there is a special occasion and my mom or one of my aunts makes them for me. I might just have to try this one! I’m sure mine won’t be half as pretty as yours, but I’ll try! Have a great trip!! Hey girl, enjoy Seattle!! I don’t know if you are there on business or vaca, but I used to live there are there are some amazing restaurants that should be super accommodating to dietary needs! Circa, and The Matador in West Seattle have great ambiance, and do well with kiddos too! haha yes, the paleo Gods were on your side at a young age, and I”m glad they did! Because I need help with bacon. 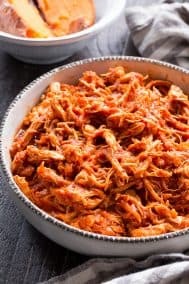 This recipe i can do! YAY! Very good deviled eggs. How many carbs per half??? 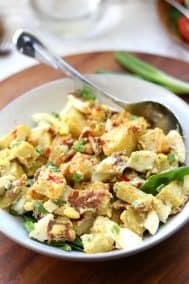 Have you ever used a chipotle mayo with these eggs?